974 Motoloc offers motorbike and scooter hire, with capacities from 125 to 750 cc. 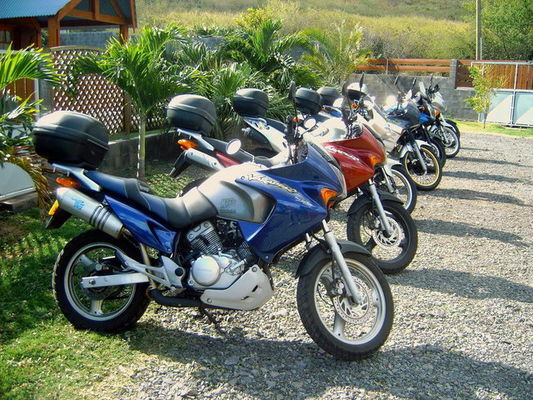 Services included: fully comprehensive and theft insurance, helmets and breakdown cover. Vehicles can be delivered. 2 hire sites: Saint-Leu (3 bis, rue Georges Pompidou - Pointe des Châteaux) and Saint-Pierre (8, rue Luc Lorion). Open 7 days a week from 9:00 a.m. to 6:00 p.m. Environment / Access : In Saint-Leu, head towards Colimaçons and turn left immediately next to Parapente Réunion.